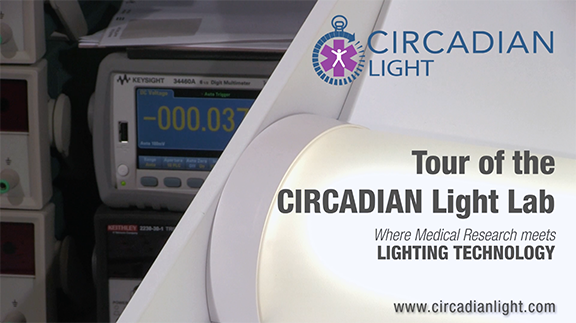 Copyright and Trademarks: The names and marks “Circadian” and “Circadian Light” are the trademarks of CZI. All content including but not limited to images, audio and video clips, animation, diagrams, photographs and any and all information of any kind in any form (the “Content”), incorporated into, published or otherwise exhibited on this Site are protected by copyright or other intellectual property rights and are owned and controlled by CZI or third parties who have licensed CZI the right to include the Content in this Site. Any copying, reproducing, republishing, uploading, posting, modifying or transmission or distribution of any Content is strictly prohibited and will be considered a violation of CZI’s intellectual property rights and could result in legal liability and/or criminal sanction. Disclaimer: THE CONTENT PROVIDED ON THIS SITE IS FOR INFORMATIONAL AND/OR EDUCATIONAL PURPOSES ONLY. CZI MAKES NO WARRANTIES REGARDING THE RELIABILITY, TRUTHFULNESS, ACCURACY OR COMPLETENESS OF ANY CONTENT. UNLESS OTHERWISE STATED EXPRESSLY, ANY OPINION, VIEW OR IDEA EXPRESSED IN ANY ARTICLE, REVIEW OR STORY, OR ANY CONTENT CONTRIBUTED OR PUBLISHED BY VISITORS OR OTHERWISE DISSEMINATED OR SENT TO CZI OR OTHERS ON OR VIA THIS SITE (“VISITOR CONTENT”) IS THE AUTHOR’S OWN AND DOES NOT REFLECT THE VIEWS OF CZI OR ITS AFFILIATED AND RELATED ENTITIES, OR ITS PARTNERS, SPONSORS, ADVERTISERS OR CONTENT PROVIDERS. NEITHER CZI, ITS AFFILIATED AND RELATED ENTITIES, PARTNERS, ADVERTISERS, SPONSORS OR CONTENT PROVIDERS ARE LIABLE TO ANY PERSON OR ENTITY WHATSOEVER FOR ANY LOSS, DAMAGE, INJURY, LIABILITY, CLAIM OR ANY OTHER CAUSE OF ACTION OF ANY KIND ARISING FROM THE USE, DISSEMINATION OF OR RELIANCE ON ANY CONTENT OR VISITOR CONTENT PROVIDED ON THIS SITE. YOU AGREE TO USE THIS SITE ENTIRELY AT YOUR OWN RISK. CZI AND ITS AFFILIATED AND RELATED ENTITIES, ITS PARTNERS, ADVERTISERS, SPONSORS AND CONTENT PROVIDERS DISCLAIM ALL WARRANTIES, EXPRESS OR IMPLIED, INCLUDING BUT NOT LIMITED TO IMPLIED WARRANTIES OF MERCHANTABILITY AND/OR FITNESS FOR A PARTICULAR PURPOSE OR THAT THE SITE WILL FUNCTION ERROR FREE OR UNINTERRUPTED OR THAT THIS SITE OR THE SERVERS THAT MAKE IT AVAILABLE FOR USE ARE FREE OF VIRUSES OR DEFECTS. CZI AND ITS AFFILIATED AND RELATED ENTITIES, ITS PARTNERS, ADVERTISERS, SPONSORS AND CONTENT PROVIDERS SHALL NOT BE HELD LIABLE FOR ANY INFORMATION, SERVICES OR PRODUCTS THAT ARE PROVIDED OR OFFERED BY WEBSITES THAT ARE LINKED TO THIS SITE. THE LINKS TO OTHER WEBSITES ARE PROVIDED ONLY AS A CONVENIENCE TO YOU AND DO NOT CONSTITUTE ANY ENDORSEMENT OF THE LINKED WEBSITES OR ANY INFORMATION, SERVICES OR PRODUCTS THAT ARE PROVIDED OR OFFERED BY THE LINKED WEBSITES. YOU AGREE THAT YOU USE ANY LINKED WEBSITES ENTIRELY AT YOUR OWN RISK. If you are a copyright owner or an agent thereof and believe that any User Content or other Content infringes upon your copyrights, you may submit a notification pursuant to the Digital Millennium Copyright Act ("DMCA") by providing our Copyright Agent with the following information in writing (see 17 U.S.C 512(c)(3) for further detail): (i) A physical or electronic signature of a person authorized to act on behalf of the owner of an exclusive right that is allegedly infringed; (ii) Identification of the copyrighted work claimed to have been infringed, or, if multiple copyrighted works at a single online site are covered by a single notification, a representative list of such works at that site; (iii) Identification of the material that is claimed to be infringing or to be the subject of infringing activity and that is to be removed or access to which is to be disabled and information reasonably sufficient to permit the service provider to locate the material; (iv) Information reasonably sufficient to permit us to contact you, such as an address, telephone number, and, if available, an electronic mail address; (v) A statement that you have a good faith belief that use of the material in the manner complained of is not authorized by the copyright owner, its agent, or the law; and (vi) A statement that the information in the notification is accurate, and under penalty of perjury, that you are authorized to act on behalf of the owner of an exclusive right that is allegedly infringed.